There are plenty of reasons to respect Bruce Rinehart, owner and chef at Rococo Restaurant & Fine Wine. He’s a workhorse who gives his all in the kitchen and then comes out all smiles for guests. He demands the best of his employees because he gives the best of himself. But the thing that stuck out most to me was how unabashedly Bruce he is. He’s in the customer service business, but he doesn’t pander to people. His food, like so many other things in Rinehart’s life, is about respect. In a city where the main Italian competitors were Olive Garden and Fazoli’s, Rococo could have taken the easy red sauce route to success and just thrown spaghetti covered in bolognese into a bowl and called it a day. That is, honestly, what a lot of us think of when we imagine an Italian restaurant. But Bruce’s east coast-style cuisine could not be pigeonholed in a single category. There’s some red sauce on the menu, but it’s buffeted by dishes tossed with white wine and lemon, creamy risottos, thick steaks, racks of lamb and tons of seafood. Now Rococo’s menu is evolving yet again. The restaurant blazed its own path and helped change tastes across the city. The newest menu shows how Rococo has learned from the newest generation of eateries and is making new trends its own. 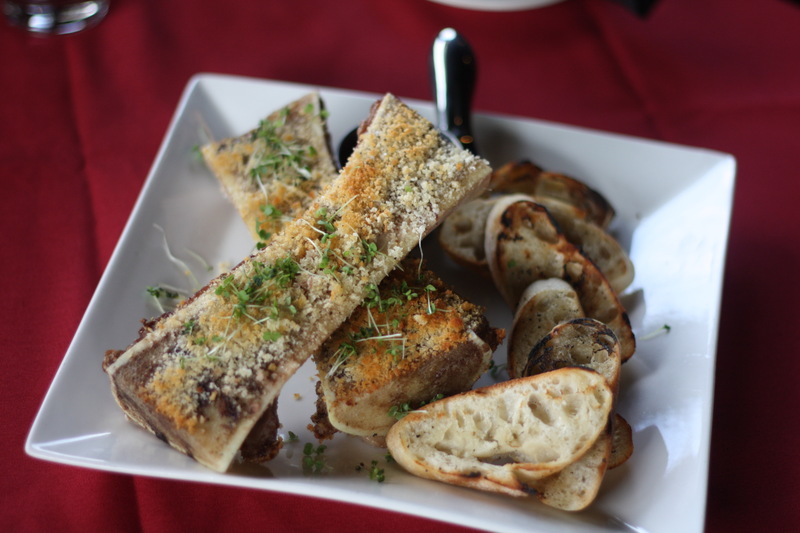 Case in point: roasted bone marrow ($11). 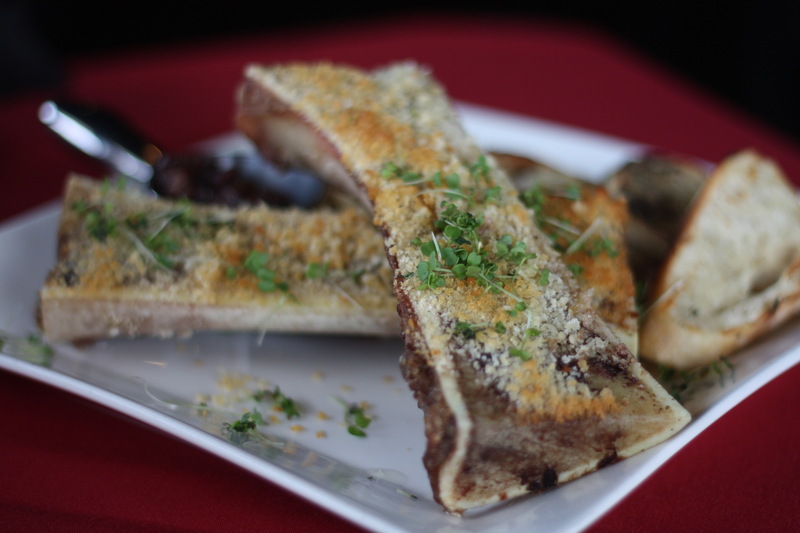 Not long ago, there was one place in town (Ludivine) doing bone marrow and it was still the domain of adventurous eaters. Now Rococo has debuted their own version and it’s a decadent take that should excite all foodies. When roasted, beef bones yield a buttery, creamy, scoopable bone marrow that is pure luxury. I’ve heard it called “meat butter” before and I think that’s a pretty apt description. Smeared on toast points and topped with golden breadcrumbs, this appetizer is so rich it never wears the same socks twice. Rococo adds a sweet option with a side of berry fig jam that helps balance the sometimes overwhelming heaviness of marrow. 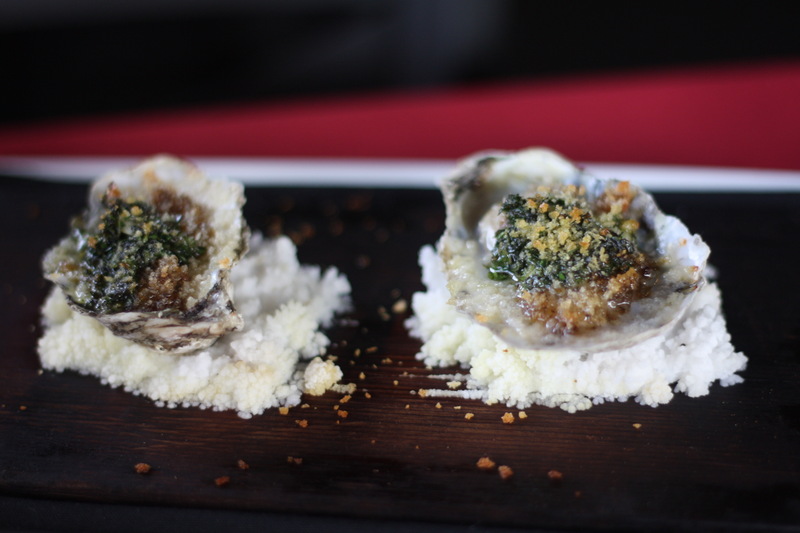 One blending of old and new is evident in Rococo’s Blackberry Point oysters, which are baked with bone marrow and gremolata. I love oysters just about any way I can get them, but these are the pinnacle of the baked oyster game. They’re juicy, briny and deeply rich, thanks to the bone marrow, with a cooling citrus twist from the gremolata. No, there’s not a lot of food there, but this isn’t an appetizer you eat to fill up. These oysters are meant to be savored and enjoyed and obsessed over. The same goes for the lobster bisque ($10 for a cup, $14 for a bowl), which is even more evidence that Rococo is obsessed with soup. Seriously, some of the best soups I’ve ever had came from Rococo. They adhere to the French method of building flavors on flavors on flavors for a depth that is staggering. This lobster bisque had an almost gelatin creaminess to it, but without overloading it with cream or butter. What you taste is lobster, which seems obvious, but is far from the norm for most lobster bisques. Big chunks of tender lobster meat are hidden in the depths of this soup and I am here for it. While the menu has seen an overhaul, there are a few dishes that simply cannot be removed or replaced. 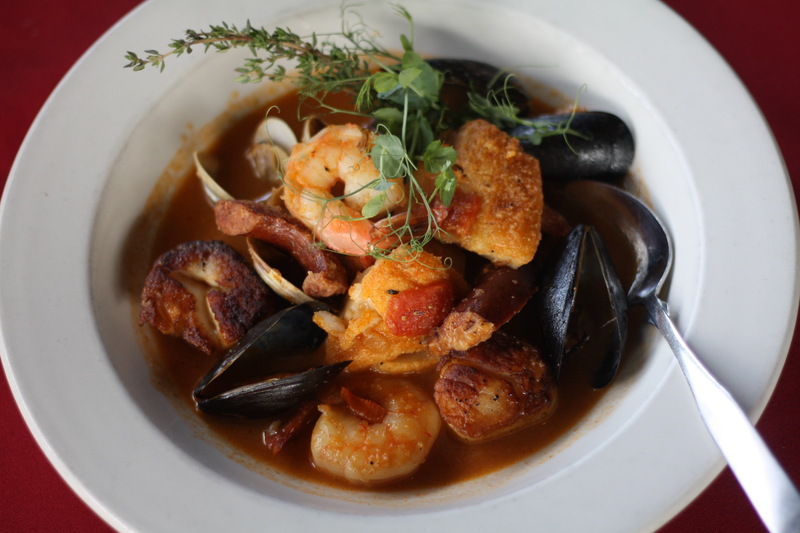 Rococo’s famous seafood stew ($55 with lobster tail, $34 without tail) is another dish with flavors so deep they taught Plato philosophy. Bruce puts his heart and soul into this dish and you can taste the love. The saffron and tomato broth is a heady swirl of spice and aroma that supports the delicate flavors of scallops, shrimp, mussels, clams and cod without overwhelming them. That’s a culinary tightrope walked immaculately by the kitchen. Is $34 a lot for a bowl of soup? Yes. But look at the amount and quality of seafood in the dish and then imagine the ingredients you aren’t seeing, the ones that were roasted and reduced and scraped up and reincorporated into the broth. You’re paying for decades of expertise distilled into one glorious bowl. 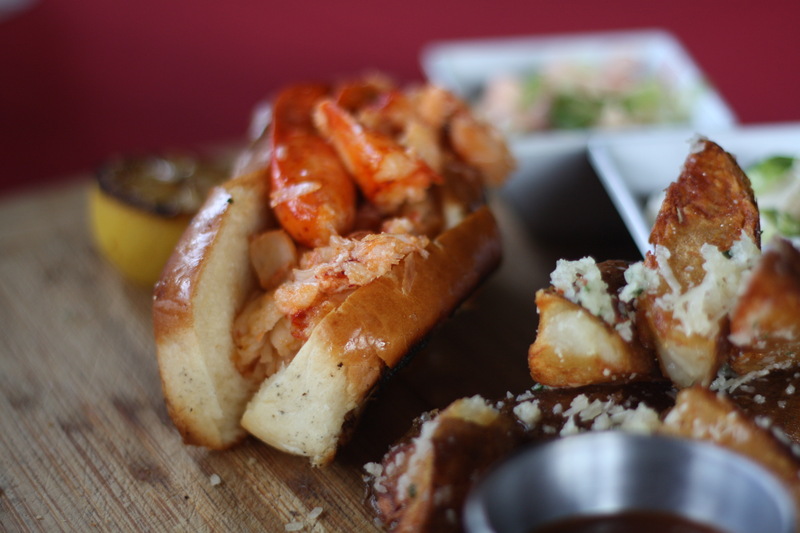 A little more economical is the warm lobster roll ($19), but it tastes like a million dollars. First there’s the ulta-butter toasted roll that is legitimately stuff to overflowing with gently poached lobster meat. There’s a delicate sweetness to lobster that’s often covered up by buckets of clarified butter, but it’s on full display here. On the side are wedge fries with truffle oil and a house-made ketchup along with a spicy jicama slaw. That’s a heck of a fancy lunch right there. Now, I debated on whether to include this, because it was a special, but Bruce’s double cherry ice cream needs recognition. Using both Bing and Ranier cherries, it was utterly wonderful. So creamy. A lovely balance of tart and sweet with big chunks of fresh cherry in every bite. Not that I’m telling Bruce to open an ice cream shop, but Bruce...you should open an ice cream shop. Even as Oklahoma City is in a culinary moment, it’s important to remember that we’ve had great chefs and restaurants here all along. Rococo has stood the test of time and is unafraid of changing and improving and innovating so that it can be here well into the future. 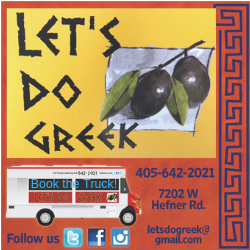 Sunday Brunch 11 am.-3 p.m., dinner 3-9 p.m.